Presenting my RAINBOW modell at the interdisciplinary Conference on „Stress in everyday life“ at the beginning of June in Rybnik, South Poland gave me an opportunity to highlight the importance of coping with stress during transition changes such as relocations and economic migrations. We tend to underestimate both: the impact of cultural changes on our identity and the enrichment they bring along, provided we consciously shape our attitude towards them in the positive manner. The positive attitude towards dealing with stress was highlighted during all the presentations, mainly offered by the experts from the medical field. 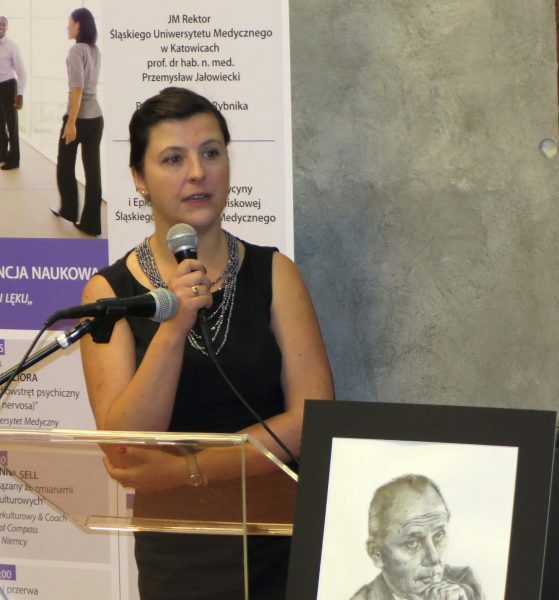 And so prof. Jadwiga Jośko-Ochojska focused on coping with moral stalking home and bullying at work, prof. Zbigniew Lew-Starowicz talked about stress situations in sexual dysfunctions and dr. Robert Pudlo concentrated on the interdependence between the cardiology and the stress reactions.